The Purrfect Cup is the dream of a lifelong cat lover, Holly Goodman. This Cat Cafe will bring together cats, cat-lovers, coffee, tea and yummy food! But wait! That's not even the best part. 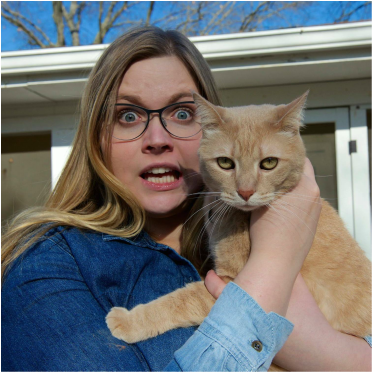 The Purrfect Cup is partnering with the Lawrence Humane Society to help cats find permanent homes. We want to get as many cats out of cages and into loving arms as possible. Since I was a child I have loved cats. I grew up with 30-40 outdoor barn cats. When I got older and moved into the city, I begged my dad to let me take a kitten home from my cousin's farm. After days of prodding, he finally relented. I have loved him for eight years, my Sunshine. My one and only tattoo is his paw print on ankle. Did I mention I love cats? 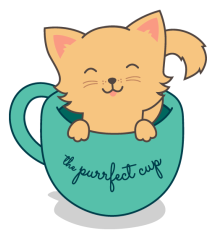 Making The Purrfect Cup a reality is my drive and passion. Not only for my love of cats but for my love of Lawrence! I am a KU graduate who settled down here. I have fallen in love with the culture and people of Lawrence. I want to help make Lawrence a unique and fun oasis in Kansas. We are currently in the beginning stages and are in talks with the Department of Agriculture on how to make this dream a reality. The current plan is to open in late Summer of 2016. Please keep a lookout for updates as time goes by. Thank you and have a paws-itively great day!